House Speaker Nancy Pelosi, D-Calif., updated her previous invitation for President Trump to deliver the annual State of the Union address to Congress today, suggesting that he should consider postponing the Jan. 29 speech or submitting it in writing until the Federal government is fully reopened. Her suggestion came amid no signs of any deal between the White House and Congress to end the partial government shutdown that began on Dec. 22. In a letter to the President, Speaker Pelosi cited security concerns as a reason for postponing the address, as the Secret Service has not been funded since the shutdown began. In a response to the letter, Secretary of Homeland Security Kirstjen Nielsen said in a tweet that the Secret Service was ready to provide security for the speech. “The Department of Homeland Security and the U.S. Secret Service are fully prepared to support and secure the State of the Union,” Secretary Nielsen wrote. Despite the letter and the shutdown, House GOP leadership insisted that the State of the Union must go on. “I’d encourage the President to still come and we’ll find a place for him to speak. But it’s important that the country hear what he has to say,” House Minority Whip Steve Scalise, R-La., said. 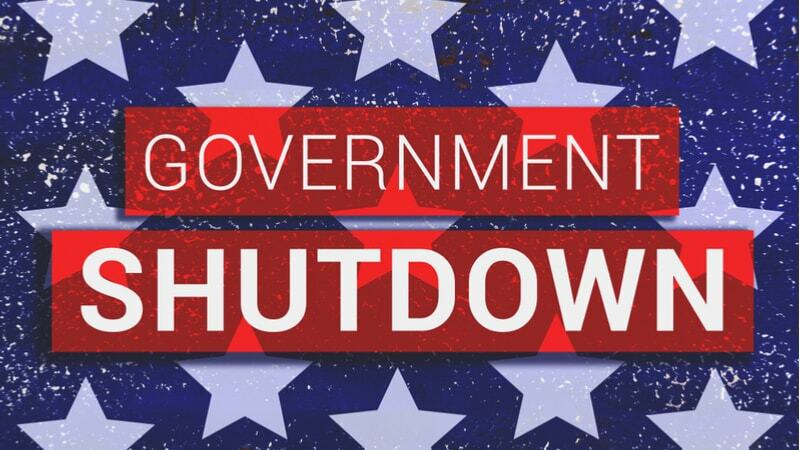 Republican and Democratic leadership in Congress have been at an impasse for weeks on a funding bill to reopen the partially-shuttered government. The President still wants $5.7 billion in border wall funding, and he met with seven House Democrats today in an attempt to jumpstart negotiations. Democratic leadership was not included in the group that met with Trump, and Senate Democratic Leader Chuck Schumer, D-N.Y., told reporters yesterday that he has not spoken to Trump in nearly a week. “The last I spoke with him was when he walked out, threw a temper tantrum and walked out, so we haven’t heard from him since then,” Sen. Schumer said. While a handful of House Democrats met with Trump, a group of freshmen House Democrats, led by Alexandria Ocasio-Cortez, D-N.Y., set out today in an apparently futile search for Senate Majority Leader Mitch McConnell, R-Ky., to hand-deliver a letter imploring him to bring House-passed legislation to fund Federal agencies to a vote. Sen. McConnell blocked a pair of funding bills from a vote on the Senate floor yesterday and will likely continue to commit to blocking bills that don’t include border wall funding, and thus don’t have President Trump’s support.